Little Melton lies to the west of Norwich just south of the B-class road to Watton and just beyond Norwich's relatively new southern by-pass. Once a quite rural village, Little Melton is, today, very much a suburban commuter settlement with a population that travels the few miles to Norwich for employment each day. 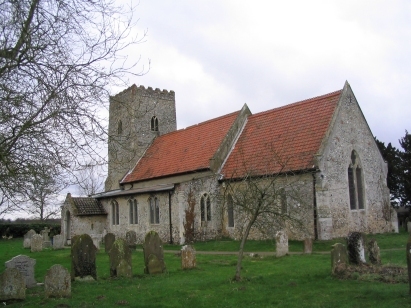 St Mary &All Saints lies west of the present village centre, it dates from the early 14th Century. 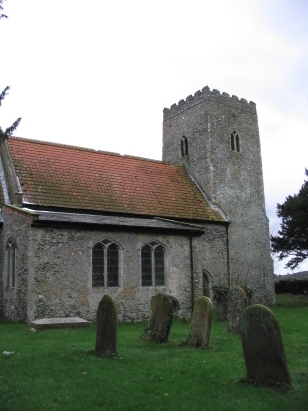 Whilst externally the church has few surprises, the interior has some interesting wall-paintings and retains its 15th century screens and large 13th century font. This transcript was compiled from microfiche 3 & 4 in the collection of the Norfolk Record Office. The filming was acceptably clear and the handwriting above average. There should, hopefully, be relatively few transcription errors in this transcript.